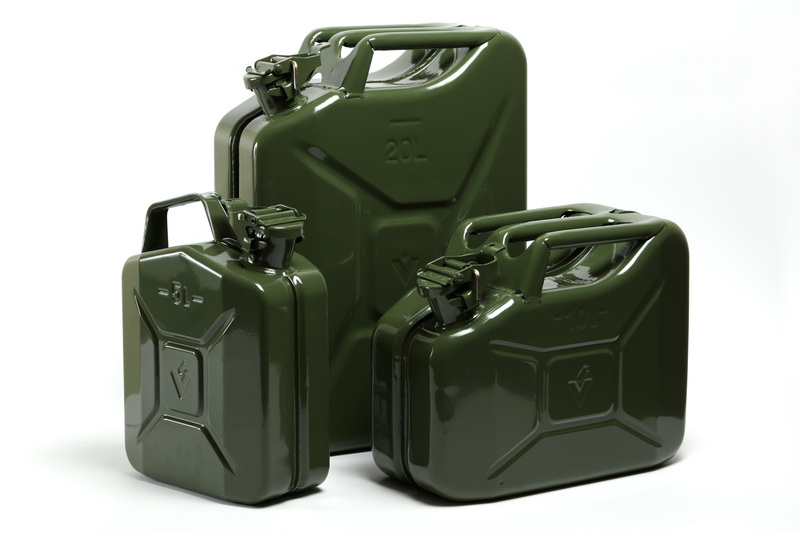 Limes offers a large selection of high quality Metal and Plastic Fuel storage, Fuel Tanks and Containers, civilian and military fuel jerry cans, fuel can accessories, Trucks genuine spare parts , tool boxes and organizers, steel drums und barrels . . . The standard colours for civilian cans are green (RAL6003) and red (RAL3000). of fuel. 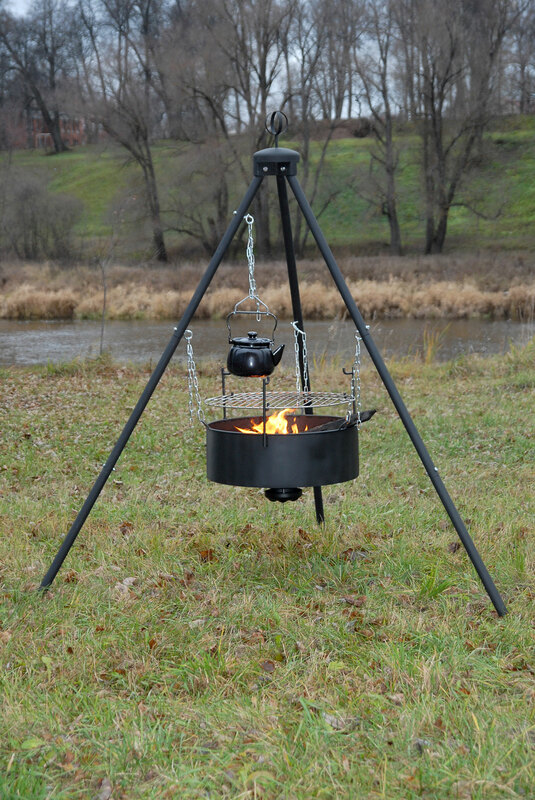 The development of the metal fuel cans were a huge improvement on earlier designs, which required tools and funnels to use. The metal fuel can was invented by the Germans during a secret project ordered by Hitler. The Germans called it the Wehrmachtskanister. The Germans had thousands of metal fuel cans stockpiled by 1939 in anticipation of war. storage for emergency water. The German engineer had access to the stockpile of metal fuel cans at Tempelhof Airport and just managed to take three metal fuel cans. They drove across 11 national borders without incident until Field Marshal Goering sent a plane to take the engineer home. The German engineer compounded his treason by giving Pleiss complete specifications for the manufacture of the metal fuel can. Pleiss continued on to Calcutta, put his car in storage, and flew back to Philadelphia. Pleiss told American military officials about the metal fuel cans, but they ignored him. Without a sample, he realized he couldn't get anywhere. He eventually got the car shipped to New York by a roundabout method, and sent a metal fuel can to Washington. The War Department decided instead to use the WWI ten-gallon metal fuel can with two screw closures, which required both a wrench and funnel for pouring. The one American metal jerry can was sent to Camp Holabird, Maryland, where it was redesigned. It only retained the handles, size and shape. The weld was replaced with rolled seams, the lining was removed and it now required a wrench and a funnel. The original design proved far superior and these fuel containers were subsequently used in all theatres of war around the world. At the beginning of the Second World War, the British Army were equipped with simple rectangular fuel containers: a 2 gallon (9 litres) container made of pressed steel and a 4 gallon (18 litres) container made from tin plate. While the 9 litre - 2 gallon containers were relatively strong, they were expensive to produce. The 18 litre - 4 gallon containers, which were mainly manufactured in the third world, were cheap and plentiful but they were not very robust. 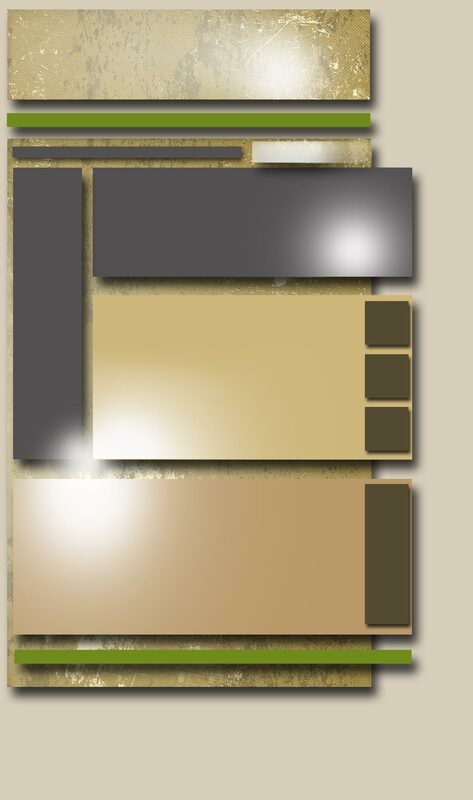 Consequently they were colloquially known as flimsies. While adequate for transportation by road in Europe, the flimsies proved to be extremely unsatisfactory during the North African Campaign and severely hampered the operation of the British 8th Army. The transportation of fuel over rough terrain often resulted in much of the fuel being lost as the containers were easily punctured. The resultant leakages also made the transportation vehicles liable to fuel fires. When the British Army first saw the German metal jerry cans during the invasion of Norway in 1940, the British immediately saw the advantages of the superior design. The metal jerry cans had three handles on them which allowed easy handling by one or two people or to be moved bucket brigade-style. 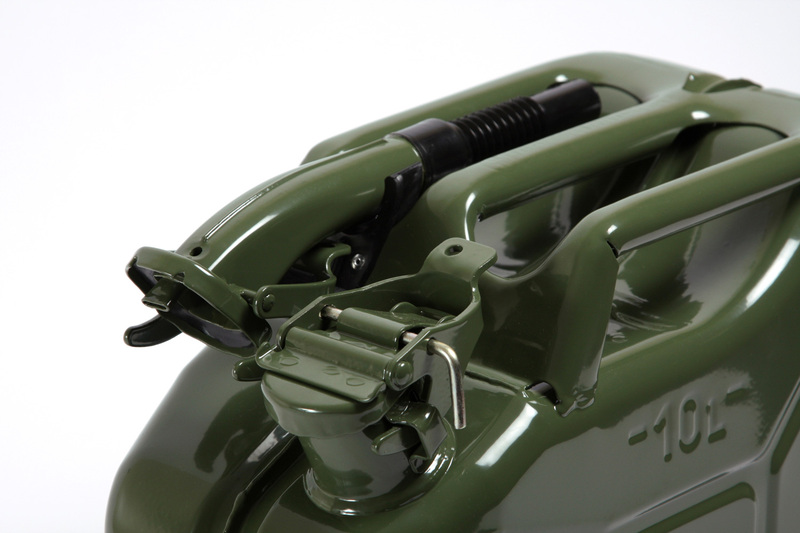 The handle design also allows for two empty metal jerry cans to be carried in each hand. 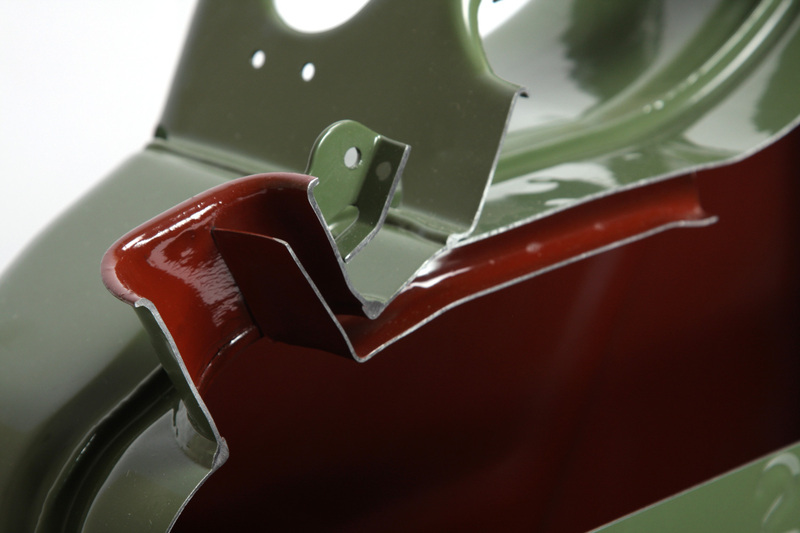 The sides of the metal jerry can were marked with cross-like indentations that strengthened the metal jerry can while allowing the contents to expand, as did an air pocket under the handles when the metal jerry can was filled correctly. Rather than a screw cap, the containers used a cam lever release mechanism with a short spout secured with a snap closure and an air-pipe to the air pocket which enabled smooth pouring (which was omitted in some copies). The interior of the metal jerry can was also lined with an impervious plastic, first developed for steel beer barrels that would allow the cans to be used for either water or gasoline. The metal jerry can was welded, and had a gasket for a leak-proof mouth. The British used cans captured from the "Jerries" (Germans) — hence "metal jerry cans" — in preference to their own containers as much as possible. Later in 1940 Pleiss was in London, and British officers asked him about the design and manufacture of the metal jerry can. Pleiss ordered the second of his three metal jerry cans flown to London.